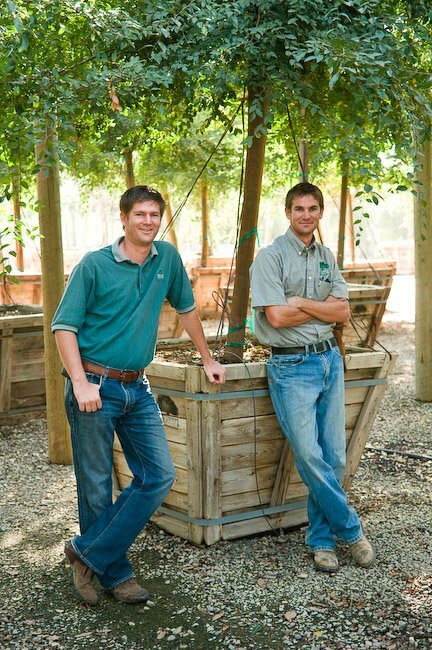 For over 40 years, Frantz Wholesale Nursery, LLC has built a tradition of Quality and Excellent Customer Service. It is not easy to be a good grower, but our family realized a long time ago that there are a lot of those in our industry. It was even more challenging for us to establish a reputation as a company that is willing to go the extra mile to work closely with you, our customer, to help solve your special needs. Founded by our parents Tim and Mitzi Frantz, we started with 1.5 acres in 1978 and have grown steadily over the years. We now employ approximately 250 wonderful people, grow on over 400 acres, and ship our broad selection of trees, shrubs, and grasses to a diverse customer base in ten Western states. We value our employees and their families, and understand their importance to our farm’s success. Our quality product is made possible by our highly skilled team, some whom have worked for the company for over 30 years. We have, and will always stay true to our roots and our community. As boys, we used to ride along with our father delivering trees and plants across the state. Growing up, we worked every job imaginable. Through this upbringing our family has built a culture founded on quality product, teamwork, customer service, and old fashion values that we trust will endure for generations to come.